A drug that can reverse the damage done by the disease MS (multiple sclerosis) has been discovered by US scientists. Multiple sclerosis affects about 1 person in every thousand. It's a progressively disabling disease caused by the immune system attacking a protective layer called myelin - made by cells called oligodendrocytes - that surround and insulate nerve fibres in the brain and spinal cord. The loss of myelin causes affected neurones to fail to transmit faithfully the messages that should be passsing along them, leading to sensory, visual and movement problems and, in severe cases, paralysis. But, there is evidence that, if the immune assault can be curtailed, a population of dormant brain stem cells, called oligodendrocyte precursors, can replace the lost myelin-making oligodendrocytes, leading to the re-insulation of the neurones denuded by the disease symptomatic improvement. However, these cells appear to be too few in number to adequately replace those lost to the immune attacks, so recovery is incomplete at best. Now, by screening over 100,000 different drugs, a team in California have uncovered one that strongly stimulates the production of new myelin-producing cells, known as oligodendrocytes, leading to the repair of MS brain lesions. Ironically, the drug identified by Scripps Institute scientist Luke Lairson and his colleagues, is benztropine, which has been used for years to treat tremor in people with Parkinson's Disease. As such, it is already licensed for human use. Benztropine works by blocking the action of a nerve signalling chemical called acetyl choline, which also keeps the oligodendrocyte precursors cells that make myelin in a quiescent state. Interrupting this suppressive signal with benzotropine awakens the stem cells, triggering them to multiply and turn into new oligodendrocytes. The team made the discovery by incubating the precursor cells with drug molecules in a culture dish before looking for markers of myelin production. Promising leads were then tested further by growing precursors cells alongside cultured neurones and looking for evidence of successful myelination. When benztropine emerged as the most powerful candidate tested, the team then administered the agent to mice with the rodent equivalent of MS. 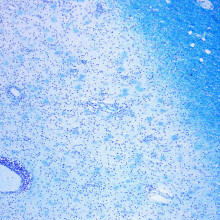 Treated animals showed dramatic improvements in their symptoms, and, under the microscope, significant re-myelination had taken place. In some further tests, the team also administered a low dose of immune-suppressing drugs; given alongside the benztropine, this regimen resulted in an even larger clinical benefit. The researchers nonetheless urge caution. They point out in their paper in Nature, where the work is published, that, "benztropine has significant neurological and psychiatric side effects," emphasising that further preclinical and clinical evalution will be needed before the findings can be translated to the clinic. We normally expect planets to be orbiting stars, and so far that is where we have found them; this makes them easier to find, space is very large and planets are very dim, so up until now they have been discovered by their effect on a much brighter star. However, although we expect to find isolated planets in deep space, they are so dim none have been found previously. Now an international group who were looking for small bodies called "brown dwarfs" by analysing data produced by the Pan-STARRS1 system, which takes a photograph of the whole sky every night, found an unsually cool object with a temperature of about 700 celsius. Because it isn't near a star it is easy to study the spectra of the light it produces and to learn a lot about it. The planet seems to be about 6 times the mass of Jupiter, and probably only about 12 million years old which is part of the reason it is still warm, and hence detectable, it seems to have been created with a group of young stars which are moving at the same speed as it . 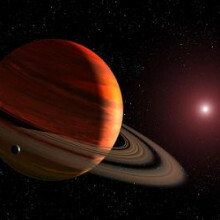 It also looks very similar to some planets of a similar size and age which have been imaged recently, so it may have been formed in a solar system and then kicked out by an interaction with another massive body, so it and other objects may be able to tell us more about the formation of gas giants like the jupier as it is far easier to study. 07:10 - What is the history of the Nobel Prizes? 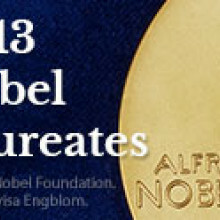 Awarded annually for Chemistry, Physics and Medicine, what are the Nobel Prizes? 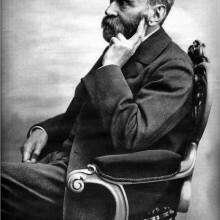 - Alfred Nobel was born in 1833. He is best known for inventing dynamite, but his scientific interests were very wide. In fact, he has 355 patents to his name. - Despite his influence, Alfred Nobel never went to university or obtained a degree. - When he died in 1896, Alfred Nobel's will instructed his wealth to be used to award prizes to people who have 'conferred the greatest benefit to mankind' in medicine, physics, chemistry, literature and towards 'fraternity between nations' - that's the peace prize to you and me. - This didn't go down well with his family, who opposed the prize fund. It took five years for the first prize to be awarded.- It is often suggested that the prize was founded because Nobel felt guilty about his work on dynamite. In fact, he thought that the power of dynamite might end all wars for good. - Today the prize money varies every year. This year's Physics award was £775,000, but for scientists it is really about the prestige. - In 1915, at the tender age of 25, Lawrence Bragg became the youngest winner. He shared the Prize in Physics with his father, William. - Many families of brilliant scientists have won more than one prize. The extended Curie family, including Marie Curie and her children's families, have won four. - The oldest winner to date was the Russian economist Leonid Hurwicz. He was 90 when he collected the prize in 2007, and died less than a year later. - Only 43 women have been awarded a Nobel Prize, compared to 791 men. - Despite the prestige of winning, six people have declined a Nobel Prize. two rejections were voluntary, the other four were forbidden to accept by the governments of Nazi Germany and the Soviet Union. Who won Nobel prizes for science in 2013, and what did they discover? The Nobel Prize in Physics 2013 - François Englert and Peter W. Higgs"for the theoretical discovery of a mechanism that contributes to our understanding of the origin of mass of subatomic particles, and which recently was confirmed through the discovery of the predicted fundamental particle, by the ATLAS and CMS experiments at CERN's Large Hadron Collider"
The Nobel Prize in Chemistry 2013 - Martin Karplus, Michael Levitt and Arieh Warshel"for the development of multiscale models for complex chemical systems"
13:13 - Why do people kiss? Oxford researcher Rafael Wlodarski has been quizzing people about their kissing habits and what it actually means to them. Oxford researcher Rafael Wlodarski has been quizzing people about their kissing habits and what it actually means to them. Chris Smith spoke to Rafael to find out more. Rafael - Hello. How is it going? Chris - Very well, thank you. Why on Earth did you do this? Chris - Indeed. There was another website that's describe kissing as a biological biohazard - putting yourself at considerable risk of exposure to all kinds of microbes and viruses. Rafael - That's exactly right and if people overcome these fears and manage to do this on such a regular basis and then there's usually must be some kind of reason for it. So, we try to figure out if we could find any supporting evidence to sort of figure out if kissing serve some kind of function in the mating ritual of humans. Chris - How did you do this? Presumably, not by kissing loads of people. Rafael - No, that would be very complicated. Now, we had to go in a very roundabout way as you can imagine with the sort of sensitive topic. So, we had a very large survey of over 900 people from 20 countries that we put out into the wild, asking people about their sort of general attitudes towards kissing and to different partners in short term, long term situations, and so forth. And we also took a lot of information about individual variables - so obviously, their gender, how attractive they were, at the variables to do with their sexual history. What we did was when we looked at these answers and we went to see how they correlated with other factors that we know correlate with certain behaviours, so what we ended up finding was that individuals that have previously been shown to be extremely selective when it comes to choosing a mate. Particularly, when it comes to genetic quality were also individuals that thought kissing was extra important at the beginning stages of their relationship. Chris - So, in other words, if someone is really fussy, if they say, "I don't just kind of go down the pub and pick up the first person who sort of winks at me" then they set greater store by a kiss. Rafael - Yeah, I mean, this wasn't a self-report thing, we didn't ask people, "Are you fussy? Are you not?" I imagine most people would consider they're fussy on some level, but what we did was we looked at, for example, females have previously been shown again and again to be more fussy. So, we just asked them their gender. We also asked them to rate their own attractiveness and past researchers found that even though everyone thinks they're more attractive than average, there's actually people who are very good at rating how attractive they are in the whole mating market. So, the more attractive you are, sort of the more resources you have to offer and the more chance you have to be picky and so obviously, you'll be more selective. So, those individuals in the past have been shown to be much more selective when it comes to choosing mates. And also, individuals who are interested in short term relationships who preferred to judge potential partners solely on physical characteristics and sort of good quality genetic traits. All those three individuals were more likely to sort of say that kissing is really important in early stages and all three of those types of individuals were also much more likely to say that their attraction had changed to an individual after they had kissed them for the first time. Whereas people who are less fussy said that this wasn't usually the case. So, it's a roundabout way to try and tease out whether kissing might play a role in this stage. We also managed to sort of find support for the idea that kissing is also used as a secondary function in long term relationships, sort of keep relationships intimate and bonded. Chris - What about the menstrual cycle because we've seen a number of publications in recent years showing that women's attractiveness to men, men's behaviour towards women, and women's behaviour towards men definitely changes menstrually, specifically when they're more likely to fall pregnant at certain times of the month? So, does the kissing get ranked differently at different times of the month? Rafael - Exactly. So, this was after - we had two papers. The first paper was just a sort of analysis of this major survey and the second paper was a subanalysis, looking at women's menstrual cycles and whether their opinion of kissing change close to menstrual cycle. And very interestingly, and for us, not that surprisingly, but it's got a good piece of corroborating evidence, what we found is that these women at the stage of the cycle where they're most likely to fall to conceive or to fall pregnant, at that stage, they thought kissing was much more important than other stages of the cycle. Again, only at the initial stages of a relationship. Again, sort of more corroborating evidence suggesting that these women who are extremely fussy at this stage of their relationship and also, very selective in terms of genetic quality of a potential mate at that same time is when they also valued kissing the most. Chris - What do you think you can learn from a kiss that you can't learn just by talking to someone or going out to dinner with them? Rafael - Yeah, it's a good question. We didn't specifically obviously examine this, but I think based on what we know about sort of human mating rituals, I think the most likely scenario is that there's ceremonial cues being exchanged. Ever since the '70s, there's been considerable research showing that human beings are actually quite adept at assessing the genetic quality and genetic compatibility even of mates based on MHC immunocompetence, solely based on smell alone. And I think this is probably why kissing is such a great socially accepted way around the world of getting two individuals who otherwise wouldn't have an excuse to get extremely close to each other. It's a kind of a socially accepted way for two people to get close enough together to get that a little bit of extra information from pheromones that you just won't be able to get by having a chat on the bar or sort of winking over the end of the village sort of thing. Chris - Do you have to do the 'full-on television kiss' as my kids would dub it in order to get that information or does the classic air kiss also? Rafael - No, I don't think you really do. I mean, when I talk about sort of kissing, I talk about the most generalised form of kissing which really doesn't always necessarily involve sort of full mouth and tongue contact. It's a relatively recent invention. But in many cultures, the most common form of kissing involves some kind of very close physical proximity and most interestingly, and the sort of thing that leads me to believe that pheromones are involved, a load of these cultures involve sniffing and inhaling. Like what we think of as the Eskimo kiss, which isn't really rubbing noses: the actual custom involves placing your nose on someone's cheek or their forehead and inhaling deeply. That is the sort of the greeting that's involved between romantic partners. Chris - Rafael, we must leave it there, but thank you for joining us. Rafael Wlodarski from Oxford University. He's published that work this week in The Archives of Sexual Behaviour and also in the journal Human Nature. About 55million years ago, Earth's temperature suddenly shot up owing to a massive release of carbon dioxide into the atmosphere, new research have revealed. 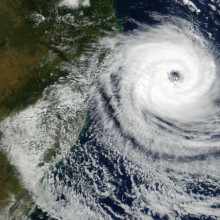 Scientists are warning that we should take note and cut carbon emissions to avoid a repeat. Historically, Earth was much warmer. About 55 million years ago, temperatures were, on average, 8 degrees Celsius higher than they are now. There were crocodiles living off Greenland, and palm forests in Wyoming. Suddenly, the levels of carbon-dioxide doubled and global temperatures increased by 5 degrees. Previously, scientists had thought this warming had taken tens of thousands of years. But now researchers Morgan Schaller and James Wright have been studying offshore clays dating from this period from Maryland and Delaware. They discovered a repeating pattern in the clay, resembling tree-rings, corresponding to a yearly cycle of rivers dropping more and less sediment into the ocean. By looking at different isotopes of carbon present in each of the clay layers, including carbon-12, which is more easily taken up by living things, and carbon-13, which is more common in inorganic carbon sources, they found evidence for a huge injection of about 3000 billion tonnes of carbon into the atmosphere over a period of a few months. Over the next 13 years, this dissolved into the shallower parts of the sea causing it to become acidic, killing off more deep sea species than at the end of the cretaceous which killed off the dinosaurs. It then took 150 000 years for things to return to normal. This, they say, should help us to understand not only an interesting piece of Earth's early history, but also serves as the best model we have of the experiment we are doing to our climate by adding CO2 to the atmosphere by burning fossil fuels. How did Isambard Kingdom Brunel and his father construct the first under-river tunnel? Today, we might be used to engineering feats like the channel tunnel but in the 1800s, a father and son team of engineers, Marc Isambard Brunel and Isambard Kingdom Brunel built the first ever tunnel to be dug under a navigable river. Ginny Smith headed down to the Brunel museum in Rotherhithe, London, to meet Director Robert Hulse to hear how the tunnel first got constructed. Robert - The tunnel here is the first tunnel under a river anywhere in the world. It's also now the oldest tunnel in the oldest underground system in the world. So, this is a very important site. Before Brunel, the way they dug tunnels was they dug trenches and they put the railway in the trench and then covered it over. But you can't do that under a river. What Brunel is doing here for the first time anywhere in the world is he's digging a tunnel by burrowing a hole like an animal. 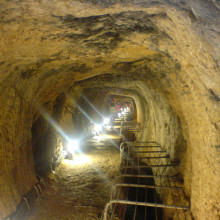 And the modern tunnel boring machines are just automated developments of the human tunnel boring machine that Brunel used here. Ginny - So, how exactly do you go about doing something like that? Robert - There's a model of it here. The first thing is, you have to get to the depth you want to dig and this is a caisson. It's a brick-lined shaft but it's actually a tower that was sunk. They lowered into this hole a huge cage made up of 36 little cages. Each little cage is the size of a man and in front of each man, you see in the cage, there are wooden planks and they're held in place by metal poles. So, they take out the first two poles, they take out the plank, they dig to 4 inches, replaced the plank, extend the poles 4 inches, brace them against the cage, and take out the one below. Dig to 4 inches, replace the plank, extend the poles, take out the one below. When they've done the hole of the wall in front of them, and the man above and below has done the same, then those 3 in a row moving independently are pushed forwards and as they push the cages forwards, brick layers working behind the miners build the tunnel walls. Ginny - And what happened to all the earth that they were digging out? Robert - The clay would be baked into bricks and sent back down again to line the tunnels. It's actually quite a green piece of engineering. Ginny - So, what kind of challenges would the people working down here be facing? 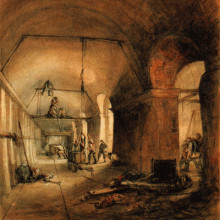 Robert - As they work in these cages, they're showered with Thames water, which wouldn't be pleasant today, but in 1825, the Thames is the biggest open sewer in the world. So, they're being doust all day with effluent and they're not just dodging sewage either. They're digging through what was recently marsh. When you get marsh, you get marsh gas or methane. The miners don't work in the dark - that would be unreasonable - they each have an oil lamp which of course ignites the methane. So, there are flames as well as sewage shooting from the cages where these poor men are working. It is the worst job in the world. But if I tell you, they're earning more than a police inspector. This is very well-paid work. Ginny - Are these tunnels still in use today? Robert - Yes, they are. They're now part of the London Overground. This tunnel is 170 years old. It didn't open for trains. It opened for a variety of rather bizarre and extraordinary customers and visitors. Ginny - So, if it wasn't used as a railway, why was it built? Robert - It was built to move cargo by horse in cart, but they ran out of money and they couldn't afford to build the ramps to get the horses and the carts down into the tunnel. To try and make extra money, in the archways between the north and the south bound tunnel, they built shops. So, this is the world's first underwater shopping arcade. In 1852, they launched the world's first underwater fairground - sword swallowers, fire eaters, magicians, tight rope walkers. Ginny - So, it became a tourist destination. People would go just for the sake of going rather than because they needed to get from A to B.
Robert - Absolutely. If you came to London in the 1840s and you had just three things on your list, this would be one of them. People came here in their millions because they didn't believe it could be done. In 1843, walking under a river the size of the Thames is like walking on the moon. Ginny - So, if our listeners wanted to go and see any of Brunel's tunnel, is any of it still visible? Robert - Yes, it is. You can travel through the tunnel itself on the trains on the London Overground and the trick is, to get off at Wapping and wait at the end of the platform then the next train that comes in will light up the arches where the shops used to be. And also, there is an underground chamber that caisson still exists. Here in Rotherhithe, the caisson is empty and we're now fundraising to fit it out as a concert hall. Ginny - Brilliant! So, can you take me down to see that? Ginny - We're going out of the museum around a corner and now, we're at a tiny door that even for me looks too small. Robert - Yes, they're hobbit holes. Follow me. Ginny - We're bending almost double and crawling through the tiny little passageway, but it's not too long which is good. There are some rather rickety looking stairs which I'm now going to attempt to climb down without dropping my recording equipment. Wow! So I've just come around a corner and you can really see the cavern opening out. Robert - Here's a picture of the tunnels as it was in 1843. It's very grand as you see. Ginny - Wow! So, they've got a beautiful sweeping double staircase which is a little bit different from the one we came down. What happened to that? Robert - Well, you see the line a bit there. Ginny - Oh, yeah. So, why isn't that here anymore? Robert - When they started running trains through here, they took out the wooden staircase because there were steam trains. It's going to be fire and smoke and tinder. Ginny - So, it must have been quite a big feat to have dug a tunnel under such a big river as the Thames. Did anything go wrong? Robert - Everything that could go wrong went wrong. The Brunels thought it would take 3 years to get to Wapping, but it took 18. The tunnel flooded 5 times altogether and the first flood was in May 1827. Ginny - So, you said that was the first flood. It happened again. Robert - Yes, it did. Work began again, but 12 weeks later, there was another terrible flood and this time, 6 men died. Ginny - Did the water get this far? Robert - Yes, the water broke in and came roaring down the tunnels and filled this chamber. Six men drowned in here. One man as luck would have it was rescued and taken out. As you notice, we can make it through the little entrance that you came through, revived, and sent to Bristol to convalesce, where he designed a bridge, built a railway, built a steamship, built another steamship. This is the near-death experience of our most famous engineer, Isambard Kingdom Brunel. Chris Smith - So, when they were saying about how they actually do their digging, they had this giant cage like a climbing frame with men at various points in these cages within this giant climbing frame. The back wall of which was planks up against the mud they were digging into. They'd take out a plank, dig 4 inches in and then put the plank back in 4 inches further in, and they keep doing that all the way through their cage and every man in zone cage does that and then the whole things slides forward. Dave Ansell - Yeah, because the muds and the clay which they're digging through is kind of sloppy and if you just leave it, it will kind of slump. They can't leave it there for very long as they had to support it again with the planks very, very quickly and you move the whole cage forward into that gap and then very quickly, you brick up the gap. Chris - Gosh! I'm glad I didn't do that job. How do the tunelling machines digging a new underground train tunnel in London actually work? 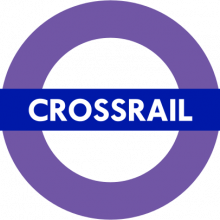 To find out how tunnelling has moved on into the modern era , Ginny Smith met up with the Deputy Construction Manager for Crossrail, Will Jobling, who is digging a 26-mile long tunnel under London from the western to the eastern suburbs. Ginny - So today, you've brought me to a construction site at Canary Wharf. So what exactly is going on here? Will - Canary Wharf Station is one of the main stations on the Crossrail line which runs east to west across London, connecting Heathrow Airport and commuter areas to the west of London with the central business districts of London and out into the Essex commuter areas to the east of London. Six stories down below the docks of Canary Wharf, the station is well underway and earlier this year, two of our tunnel boring machines, Elizabeth and Victoria passed through the station on their way into the centre of London. Ginny - I like that you've named your tunnel boring machines. Are they all female? Will - By tradition, tunnel boring machines are always named after ladies and they're generally named in pairs as well. So, Victoria and Elizabeth, name after two monarchs. Two of the other tunnel boring machines that we have which is starting from near the Olympic stadium at Stratford are named Jessica and Ellie after Jessica Ennis and Ellie Simmonds, two of the Olympic heroes. Ginny - Brilliant! Can you tell me a little bit about how these machines actually work? Will - The essence of a tunnel boring machine is the same as this tunnelling has always been carried out since Brunel's time. There is a metal shield at the front of the machine which has a circular rotating cutter head on it, that cutting head swings around and moves forward at the rate of about 20 mm a minute. It scrapes off the surface in front of the machine, then a giant Archimedes screw from the bottom of the machine takes the material out onto a conveyor belt. It then passes all the way back through the machine, along the tunnel and out to the surface. On the eastern tunnels, it then drops straight into a barge. It's taken out down the river Thames and ends up in a new bird sanctuary that's being built off the cost of Suffolk. Ginny - So, you mentioned Archimedes screw. How exactly does that work? Will - Essentially, it turns around and the material that's been scraped off the face of the tunnel false to the bottom and is picked up and then essentially sucked back out from the front of the machine. It allows the pressure at the front of the machine to be maintained. Ginny - So, you've got this machine and it's burrowing into the Earth. What happens behind the machine? What turns a hole in the ground into something we could actually put trains through? Will - Well, once the front of the machine has pushed forward 1.6 meters, there is essentially a gap created inside the metal shield. What we then do is we take the 7 segments and key stone of each tunnel ring and place them into a position using a massive hydraulic erector arm. Ginny - So, is that made of bricks? Will - No, the rings are made of concrete segments which are 1.6 metres across, about 30 centimetres in thickness and they're made using a re-enforced concrete with steel fibres actually mixed in with the concrete to give it strength. Ginny - How do you stop it from falling in on itself when you dug the bit of the tunnel out? Will - There's two different ways of doing it and it depends on what type of machine you have, which in turn depends on what the ground conditions are that you're going through. Most of London is built on clay. In London clay, the Earth has a certain amount of stickiness, shall we say. So, as you're scraping it off, the front of the machine where the ground is unsupported, if you just left it there, it would just slide in and fall in on you. So, what we do is we keep pressure at the front of the machine. That's done in part by having compressed air in there, partly by having some water in there, just to force the earth back from falling in. We also regulate it by the speed by which the Archimedes screw turns. So that what we're pumping in to hold, the face up is equivalent to what we're taking out by the screw. The Crossrail machines that are tunnelling under the Thames are slightly different. They're slurry machines and that's because underneath the Thames is mostly chalk. What they do there is they have a slurry machine where the full face is actually sealed water tight and the chalk is basically dissolved in a slurry as it's scraped off. It comes out through pipes, rather than the conveyor belts which were used on a clay machine. Ginny - How quickly can these things get through the Earth? Will - At best, we can do in the region of 200 to 250 meters in a week. On average, we like to go between 100 and 150 meters in a week. So, that's about the same as 1 ½ football pitches. Ginny - So, there's an awful lot going on underneath London. I mean, we've got sewer systems, we've got the current tube lines and there must be loads of other things that I'm not even aware of. How do you make sure you avoid all of those when you're digging? Will - Well, it's all been planned and mapped out to very high levels of precision. 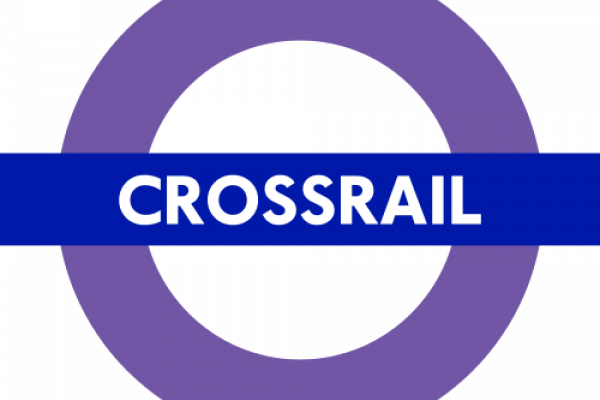 For example, the western tunnels recently went within 80 centimetres of the operational northern line near Tottenham Court Road. That's about the length of a hockey stick and to be able to do that, you have to have a great confidence in where you are. That's not to say that there aren't surprises down underneath London. There's plenty of things we do know about. There's plenty of things that we don't and we recently, we hit some piles under the Canary Wharf docks which nobody knew were there. What do engineers need to know in order to construct tunnels? Rodney - My name is Rodney Craig I worked for Sir William Halcrow and Partners Consulting Engineers for 38 years. All in tunnelles - I arrived on day 1 and put in a tunnel and I left on my last day sitting in a tunnel. Chris - Is there anything that you can't tunnel through? Rodney - We're much improved compared with 100 or 50 years ago. The reason that in London, all the underground is north of the Thames is because north of the Thames, there is London clay which is a good medium for driving tunnels. In south of the Thames, it is predominantly in water bearing ground. In the 1900s and up to probably the 1960s or '70s, it was quite difficult to build tunnels under the water table because you had to put compressed air on to hold back the water and because you have to compress up to your air pressure and then decompress afterwards. So, in other words, you would only have 4 hours working because the 2 hours beforehand, 2 hours afterwards were compression and decompression. But now, we have tunnel boring machines which can activate in that type of ground and therefore there isn't a problem. Chris - So, you just deploy the machine and it's unmanned in the sense there's no one actually physically down there at the digging face, and it's all automated. Rodney - Basically, there are now two types of tunnel boring machines which you can use. One is called the hydromachine and the other is called the earth pressure balance machine. They have different principles, but they both pressurise the face. So, you hold back the water and you hold back the ground. The largest tunnel boring machine which has just completed work in Italy is 15.66 metres in diameter. Chris - Gosh! That's a lot of rock, isn't it? How much material are they moving an hour, those sort of machines? Rodney - They were going along at quite a high rate of progress. They were probably doing up to 10 metres per day. Chris - What about when we want to build tunnels in places where there are geological issues and Japan are masters at this? They've got a geological hot spot there. They've got lots of earthquakes happening regularly. How do you build tunnels that are capable of taking that sort of problem? Because concrete is really good in compression, but as soon as you put stress on it, it fails catastrophically? How do they get around that? Rodney - Generally, the safest place to be in an earthquake is inside a tunnel because basically, your tunnel moves with the rock. Hence, there isn't really a problem as far as the tunnel itself is concerned. Probably the worst conditions is probably not in Japan but if you are building a tunnel in sand under the water table, you do find that the sand can liquefy. It loses all its strength. Chris - What about navigating? Because if one looks at what was achieved historically by engineers like Bazalgette, the guy who plumbed in the London sewers, they dug from two different directions and were they out by - you know, it was a matter of a centimetre or 2, wasn't it? That these two tunnels coming over enormous distances and they met in the middle. How did they do it? Rodney - Basically, you start off from a shaft and you have two plumb bobs which are strings with a piece of metal at the bottom which you put on the inside of the shaft, at the back and the front on the actual alignment that you wish to drive your tunnel out. And then you extend that line by resurveying time and time, and time again. You lose all the errors and you were right with the end, within your 1 inch from your predicted position. Chris - What happens if you want to go around corners? Rodney - Well then you have to survey what angle you're doing and so forth and so, it comes in the calculations. But ideally, with the tunnel, you try to avoid having vertical and horizontal curves at the same time because that then does become more difficult. Chris - What about if, like up in Manchester, there's a very long canal to get historically, products onto canals under a mountain so that the horses didn't have to carry stuff over a mountain over the Pennines. It took them a huge amount of time to build, but they then ended up with water flowing though it beautifully. How do you get the water flowing through them too so that you don't end up accidentally going uphill or downhill by the wrong amount? Rodney - Well, as long as you go horizontally, you will always be able to get the water flowing so easily. There was a case that I visited a tunnel in Israel which was built in the 9th century BC where they had their wells outside the city. They drove it from both ends and they got their levels wrong. There was a five foot difference between one tunnel and the other when they met. And so, they had to excavate down for another 5 feet to actually get the horizontal. 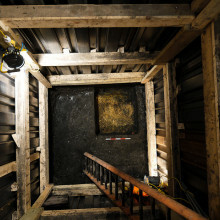 What does tunnelling under big cities turn up for archaeologists? Nowadays, we have the technology to build massive tunnelling projects, but the ground beneath our feet also contains the archaeological record of our cities. What might we be destroying by digging through our history? Craig Halsey is an Archaeological Project Manager from the Museum of London Archaeology and is involved in preserving and studying finds from tunnelling projects like this. He spoke to Dave Ansell. Dave - Hi, Craig. Having listened to the descriptions of these tunnel boring machines, is there any archaeology left when it comes out of the other side? Craig - Well, absolutely there is because, as been mentioned, they're tunnelling through London clay. London clay is about 60 million years old. It dates to the Eocene period. So, it doesn't actually have any archaeological interest to us. Where the tunnel do much of the impact when it's things like the actual stations or the shafts they need to dig touch to get the tunnel boring machines in. So, it's not the tunnels themselves. It's all the other associated infrastructure that needs to be done to make development work basically. Dave - So, what sort of things do you find in these places? Craig - Well, it really depends on where you are actually excavating. Most of the work that I've been involved with has been mentioned actually, out near the docklands out near Canary Wharf, parts of Crossrail. And beneath the present landscape there, you've got a very thick sequence of alluvial and peat deposits which date back about 10,000 years, what we call the Holocene. And there's various Paleoenvironmental Proxy Indicators as we call them. So, things like pollen, that can tell you about the past paleoecology and also how people have had an impact, the way the forest has been cut down and so forth. There's other environmental indicators such as diatoms and ostracods: diatoms are like a silica algae, ostracods are bivalves. We can use these to actually look at things like sea level change, changes in the actual river. 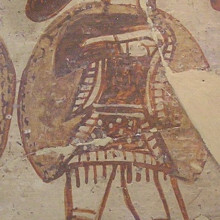 Although it's not necessarily associated with actual occupation, it can set the background for within which Bronze Age populations used to exist. You can look at settlement patterns and things like that as well. Occasionally, you do get archaeology with these deep sediments. You can get things like Mesolithic flint scatters on the surfaces - the gravels or if you're particularly lucky, you can get things like timber trackway. So, that's the sort of where I've mainly been involved with, but many of my colleagues have worked more in Central London where the deposits are a little bit shallower. They have found Roman burial grounds, post medieval burial grounds, remains of Roman buildings and medieval buildings. So, it really does just depend on where you are and where you're digging the holes. Dave - Are there any challenges with doing archaeology in the kind of environment of people building tunnels around you? Craig - Absolutely. It's a question of, they're under a quite difficult time constraints. So, the last thing they really want is a huge amount of archaeology to deal with. But all these things can be programmed. We make an assessment over the site way before the works actually start and one of the things we'll do, we'll do a desk space study. So, we'll look at what archaeology has been found around a particular development site. We can look at historic maps. So, we've generally got a good idea about what might be there and also, we'll do some evaluation work as well, so that could be test pits or boreholes and just to get an idea about what's there before they actually start digging the hole. So really, we're there to try to minimise their risk. So, the last thing they want is when they start to undertake these works and if they find something completely unexpected that slows the whole process down, that's what we try to avoid. Dave - Is it at all scary digging in these really deep holes as well or does that cause you any problems? Craig - Well, what's different about this type of work and working with tunnels is that, it actually gives us an opportunity to look at sediments that we wouldn't normally get access to because some of these shafts can be quite deep. If we were dealing with them in more traditional methods, just using trenches, there's lots of problems you have. Water ingress is the main one, but when they put in these shafts, I think it was mentioned, these concrete caissons, they would normally de-water the site. That actually enables us to get these deposits which we wouldn't normally be able to look at. So, in some ways, it's a benefit. We can get more information from it than we would normally expect. Dave - Brilliant! So, we get to understand how London used to be. Thank you very much, Craig Halsey who's from the Museum of London Archaeology. 46:32 - What happens to sand in an earthquake? What happens to sand in an earthquake? What happens when you build a tunnel through certain types of ground and there's a lot of sand there? Guest Rodney Craig said was that it can liquefy the sand. It goes from being a solid to something which is akin to being a liquid. Dave Ansell brought his own demonstration of this to the studio. Dave - What I've got here is my own very little sand pit. I have a box full of sand. You can kind of push it around a bit but mostly, it's fairly solid and you can kind of put things on it and they don't tend to sink very fast. You build a building on it and it's fairly stable. 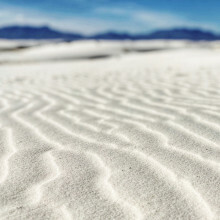 The problem comes if that sand starts to get shaken so, if you're in an earthquake because at the moment, the sand isn't moving because all the hard particles are jammed against one another. And so, the friction hold it altogether you have a nice solid foundation. The problem is, if you shake it, the sand particles will bounce around a bit and as it starts bouncing around a bit, they can start bouncing past each other. So, I will start to shake my sand pit. Chris - So, Dave has his little mini sand pit and you have a very large bolt standing up to resemble, a skyscraper or some kind of heavy building and then secreted in the sand is a light object. You haven't told me what it is, but there's something hiding in there. I'm going to give it a shake. Dave - Give it a shake. Chris - Okay, so the result is pretty clear. What has popped up which was previously invisible under the sand is a Ping-Pong ball. That's very light obviously and then the very heavy metal bolt has completely disappeared, just by shaking and agitating the sand. Dave - So, the sand starts to shake around, the particles move past each other and they can flow and start to behave like a liquid so anything denser than the sand will sink. Anything less dense than the sand will float because of course a tunnel is full of air. So, it's basically a great big kind of submarine. If it's in a liquid, it will start to float upwards, so you start getting bends in your tunnels and if some bits are solid and other bits are bending due to this liquid, you can get kinks in your tunnels and it can cause huge problems. Chris - Has this actually happened anywhere? I mean, theoretically, it's obvious this can happen, but has this actually happened to anybody? Dave - The liquification is a big problem. So, various places in Japan that have built great big office blocks, the half in sand and half on something slightly more solid and the sand side has just liquefied and they'll just tip over like just a great big block twisting around. Chris - Why does the vibration do this? What's the mechanism behind this because the sand particles are pretty rough and uneven and they jam together quite well I would think? Dave - As soon as you start shaking it, you're basically causing them to bounce off each other and they start behaving a bit like atoms in a liquid, so molecules in a liquid. So, they're not locked in place and as soon as they can move past each other a bit, then they can change shape and they can flow. If you have violence like an earthquake with the right kind of sand or gravels then it can just liquefy and flow around the place. Chris - So, it isn't just sand. It could be other types of particles or other materials as well. Dave - Anything granular. It'll depend on the size of the earthquake. Also, if you got water in there, it works far better, something you may have done on the beach as a child or again, more recently, if you stand on a smooth piece of sand which is very wet, the water helps to lubricate it and it sort of causes the rock to float a bit, so it's less heavy than normal sand. And so, if you jiggle your feet up and down, you can sink down into the sand. It's the same what's called a thixotropic effect. 49:47 - Am I a relative of a Bronze Age local?